How much will you say “yes” to this season? Will you be worn out and stressed by the time Christmas gets here? Will you run yourself and your family ragged trying to do everything and be everything? As much as I love Christmas and all its trappings, it does always seem to be the season of excess. So much shopping and spending. So many parties and events. So much food to cook and eat. So many expectations, most of which we never entirely meet. Let’s experience less busyness, more Jesus this Christmas! As each year seems to get busier and busier, I find myself aching for a simpler Christmas. Acutely needing to scale back and soak in the meaning of Christmas, instead of the hype. However, even this advance preparation doesn’t feel like enough. As I look over the calendar for December, my stress level began to rise. So much I want to do in so little time. So many days already spoken for… Where do I draw the line so the season doesn’t become one big, stressful to-do list? What can I cut out, yet still feel festive and create special Christmas memories with the family? I think we could fill every waking moment (including staying up past bedtimes) with fun Christmas activities. Office holiday parties, gingerbread house decorating events, Christmas light viewing, caroling, theater productions, holiday fun runs, parties for the kids, and the list goes on and on… But, does it become too much? How often are we worn out by the time Christmas arrives – and still feel like we didn’t get it all done? This year, will you say “no” to the expectations so you can say “yes” to Jesus? Every year of my childhood, my mother threw a cookie-decorating party for me and my friends. It was one of the highlights of my childhood. One of those special memories I will always hold dear. I wanted to do the same for my children and build that kind of Christmas tradition. As I looked at the calendar one year, trying to find a date for a cookie party, I instead found stress. Too many other engagements already on the calendar, too little time to prepare. So, I made a difficult decision to say “no” to one tradition that meant a lot to me and I know would be fun for the kids. Saying “no” to this, however, meant I have more of me to say “yes” to Jesus. What holiday obligations and expectations do you need to let go so you can “yes” to Jesus? I made a ‘grown up’ Advent calendar for myself, with a scripture verse or carol behind each day. I’ve found it changes the countdown. Instead of counting how many shopping days are left until Christmas, I can instead pause for a few minutes each day to soak in the story of Jesus’ birth. Just as my children still run to open the next day on their Advent calendar, I also can’t wait to turn over the cards on my wreath. Can’t wait to spend time with each scripture lesson and letting each carol fill my heart. I want to feel the Christmas season deeply. I want to immerse myself in the story of Jesus and the promises of his birth. So, will you join me in saying “no” to something this season? Scale back a little. Focus a little less on the trappings of Christmas so you can focus more on the reason we celebrate. Spend a little more time soaking in the story of Jesus and why his birth changed the world. Find a devotional that fits you can stick to. Cut something else out of your schedule so you can spend 10, 30, 60 minutes with Jesus each day. Give some of your time to him and see how it puts your heart more fully in the Christmas spirit and eases the stress of the season. Start each day this Advent season (Dec. 2nd – Dec. 24th) with a brief devotional and time of prayer. Let Jesus speak deeply into your heart as you prepare for the real joy of this season – the gift of Jesus. I wish you all a blessed and low-stress Christmas season! Such a great reminder that me must be intentional about staying focused on what’s important during this busy season. And I love the printable! Thank you for sharing your gifts here. I’m so glad I stopped by. Great post! Thanks! Glad you stopped by, too! Hope you can find your focus amidst the busy this season. Kathryn, there is so much to say no to during this season if we want to say yes to Jesus. I am going through Ann Voskamp’s book The Greatest Gift and then also doing the family book with my children. I can’t wait to get started and really savor the season. Thanks for the great reminder! Visiting from Coffee for your heart. Definitely want to keep the fun things, but limit the stressful ones and the days we’re just too busy. Prayers for wise choices that lead us to a more meaningful Christmas this year! So many good things we should be saying no to this year. I say no to busyness and yes to more Jesus! I hope I can really do it this year – just enjoy the season and soak in the fun and the meaning! Prayers for you this season! Thank you for the timely reminder. I am often stressed and sad as Christmas approaches as money always seems to tight and I haven’t been able to give enough of myself to those I love, because I have been too stressed. This year, I told the kids that for all of December, all of our ‘school’ will be Advent, preparing our hearts for the coming of our saviour. I am excited to begin with them. Jesse tree, Advent candles, reading, baking and singing. I can’t wait to read your other advent posts for more ideas! Prayers that you and your family will have a special, low-stress and meaningful Christmas this year! Blessings to you! Glad you liked this! I’m excited to try a more ‘grown-up’ countdown this year – and put more focus on Jesus in the midst of all the Christmas. An amazing post! & I totally agree! I found your lovely blog on the SITS Sharefest. I love your desire for a simpler Christmas. I share the same and will be striving for that this year. Linked up with you at Faith Along the Way. I hope you (and I!) find that more meaningful Christmas this year! Beautiful reminder for where our focus should be during this season! I have grown children who do not live at home and I am still trying to figure out how to make this Christmas meaningful. It is so easy to get caught in the hype and busyness. I am praying that God will provide insight as to how I can be intentional and centered on Him this year. Blessed you linked with The Weekend Brew. I am saying yes to slowing down and focusing my heart on Jesus. I will be reading Ann Voskamp’s “The Greatest Gift” and joining other bloggers in a link up each Monday. Thank you for joining the community at The Weekend Brew! Love how I’m seeing so much focus everywhere on slowing down and more intentionally drawing near to Jesus this Advent! I LOVE the idea of saying no to stress and busyness and YES to more Jesus! 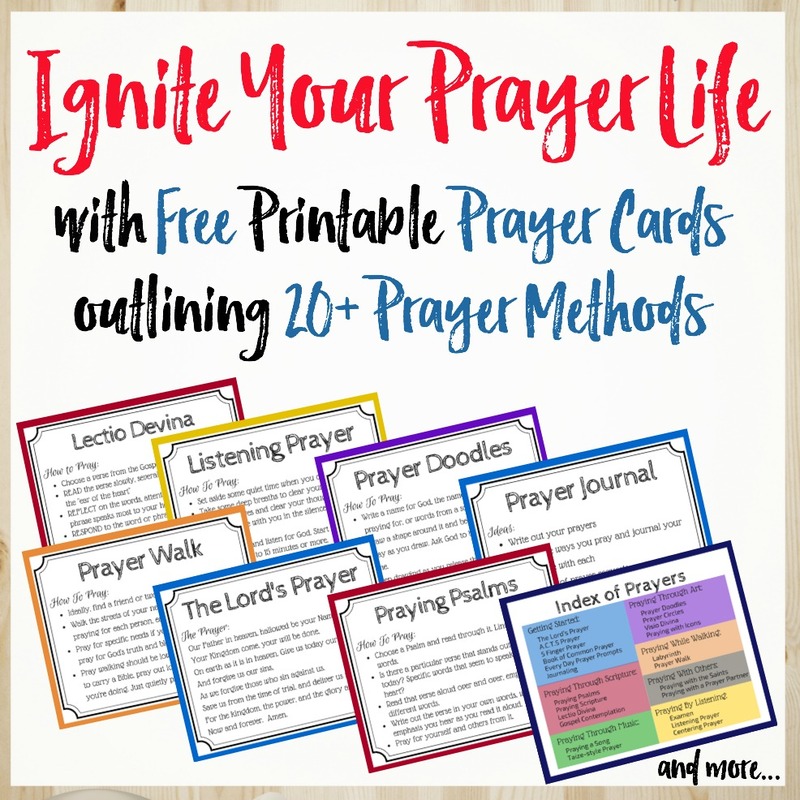 What a perfect reminder in this post and I appreciate the free printable! You are being featured at the Saturday Soiree Blog Party this week! I am with ya Kathryn!! I am eager to slow down and soak up more of Jesus because that is all we really need. And our kiddos, too. We are learning to live with less,make do with simple and realizing we really don’t need everything we though we did. Your wreath and printable are adorable. Trying to make this a season of rest, renewal and preparation – instead of rush, stress and over-doing. Hopefully I’ll stick to it – and be able to make it more meaningful for the whole family. Hope you are able to have a special Christmas season, too!